Chief Neurology resident, William Mays, MD, second from left, recently performed at the Grand Ole Opry with his band, the Barbershop Boys. William Mays, MD, Chief Neurology Resident at the University y of Tennessee Health Science Center (UTHSC,) joined the ranks of musicians that include Johnny Cash, Hank Williams, Patsy Cline, Dolly Parton, and even Elvis Presley when his band, the Barbershop Boys, performed at the Grand Ole Opry 2019 Midwinter Convention. 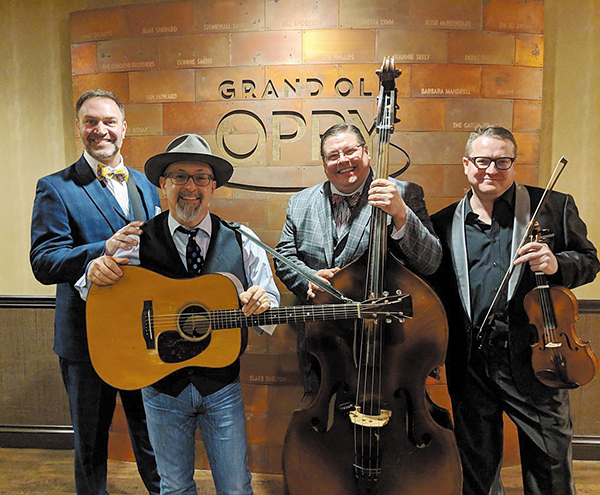 "I've had the privilege of being able to sing at some exciting places, but this by far is the coolest thing we have ever done," Dr. Mays said about the performance at the Opry late last month. "We got to go backstage and see all the history and pictures there and all the different people who have sung there - singing on the same stage as Garth Brooks, George Jones, Randy Travis, and all these big names." Dr. Mays' singing career began originally with a barbershop quartet in the mid-90s, when he was undergraduate studying English at Emory University. Some 25 years later the friends have remained involved and continue to perform together, despite new careers in various locations throughout the country. "That's kind of the appeal of the Grand Ole Opry, even though they have all these major names who are members, they still allow people like us, who are not professionals and still have other jobs, to perform. They have such a respect for music that they allow a rich medley of different groups to perform there. It really was a once-in-a-lifetime experience for us." The performance was Dr. Mays' first time at the Grand Ole Opry. "Both my grandparents were big Grand Ole Opry fans, and unfortunately, both have passed away, but they would have thought it was the coolest thing that the quartet got to go," he said. In addition to performing at the Grand Ole Opry, Dr. Mays and his singing groups have performed for two presidents, Bill Clinton and Jimmy Carter, and have sung the National Anthem at multiple NBA, NFL, and MLB games. 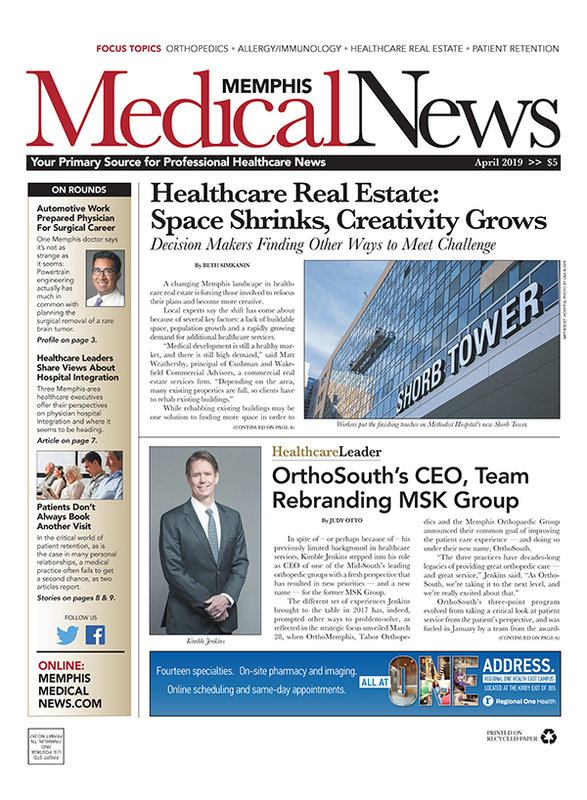 During his second year of neurology residency back in 2017, Mays' quartet headlined nine shows of "The Music Man," at the DeSoto Family Theater in Southaven, Mississippi. Over the years, the quartets have performed in more than 18 states. Most recently, they performed at the retirement party of Michael Jacewicz, MD, who served as senior professor in the UTHSC Department of Neurology and the Department of Anatomy and Neurobiology. "I've found that music is a really good way to unwind from stress," Dr. Mays said. "One of the benefits of performing with a non-professional group is that you don't have to rehearse every weekend. We do it because we love it." Prior to their performance and rehearsal at the Grand Ole Opry, the group met up only a few times during the last year, due to demands of work and life in general. 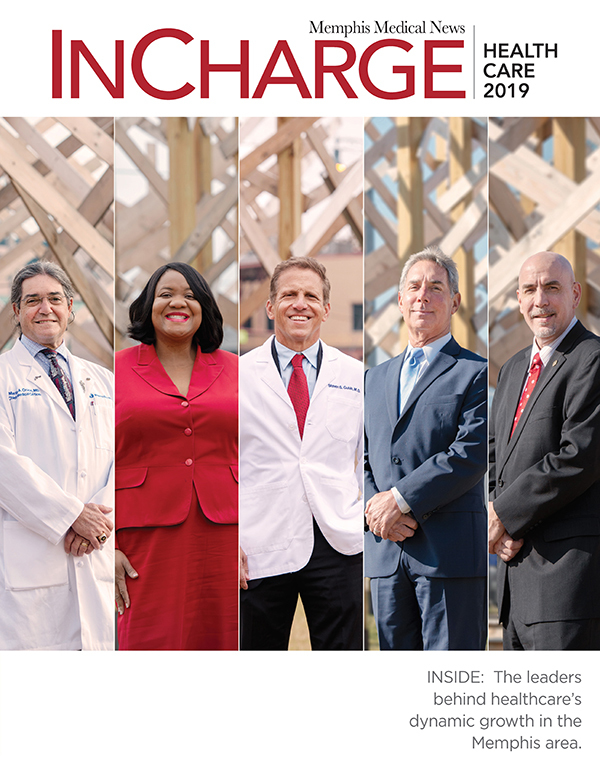 Throughout his career in medicine, which included three years as a general surgery resident in Chattanooga and one transitional year in Memphis, Dr. Mays has enjoyed the escape playing music provides. He credits the UTHSC Neurology program's supportive faculty and residents, as well as the shift in residency training in recent years, for allowing him the opportunity to have a good work-life balance and continue his musical hobby. "A lot of the seminars and educational activities that the Graduate Medical Education Office offers us are all about work-life balance - dealing with stress in a healthy way, not getting burned out," he said. "I have found and recommend it to other people, find something you love to do that's not a chore, for me it's been music. It's a really good stress reliever."